A couple of weeks ago, I was lucky enough to be invited to the offices of Simon and Schuster with a few of my blogging pals, to meet Philippa Gregory, the best selling author of such books as The Other Boleyn Girl, The Red Queen and The White Queen. Philippa Gregory will be publishing her first Young Adult book, Changeling (the first book in the Order of Darkness series) in May. When we arrived, we were given a sample of the book to read and I have to say it was really good! In fact, I can't wait to read the whole book when it comes out in May. Simon and Schuster ran the event similar to a press conference where we all got to ask Philippa questions about her writing and her new book. I thought it would be lovely to reprint the interview as much as I can on here, so you get to share the experience. I only made notes of Philippa's answers to the questions, so I won't be using the exact replies from the author. So here are the questions and answers from the event. If you want to check out the blogs by the other ladies in attendance, then please click on their names. Feeling Fictional (Sarah): What made you decide to write your first story aimed at the YA market and did you find it any different to writing adult books? Philippa: I think it was more of a case of why didn't I? Someone had asked me and I couldn't think why I hadn't done it. I have a lot of young readers reading my adult books. I wanted to write a YA book which shows positive views of women. I wanted to create strong women to challenge the victimisation that occurs of women today. 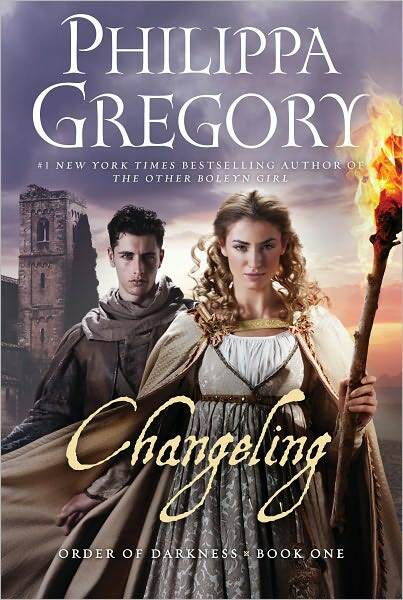 I felt that Changeling examined a similar situation to one that we are dealing with in society today. The Crusade period dealt with the war between Muslims and Christendom; something that teenagers can relate to at this moment in time. Writing from the Tub(Carly): Do you have an audience in mind when writing, or do you just write for yourself? Philippa: I write for my own pleasure. I never consider who might want to read it. I just think about the writing process. Bookgeeks (Jennie):When researching your novels, do you find it more difficult to find original sources that directly describe a female historical experience? How do you deal with source materials that may often be written from a male point of view? Philippa: There really isn't any source material written from the female perspective. I normally have to reconstruct the women's life by what the men in their lives were doing. It is a bit like a jigsaw; I have put it all together. What was likely to have happened in their lives and what probably didn't. I tend to find that most of the women are described as victims and I rarely find anything written about their childhood. Bookgeeks ( Jennie): Do you have a favourite era of history? What draws you to write about the past? Philippa: I find I want to personally know what happened in the past. I love the medieval period; I find it extraordinary to write about. Science was only just beginning to be discovered and magic and spiritualism were at their highest. Really exciting times. The collapse of Constantinople caused mayhem as people really thought the world was about to end. Such a fantastic period to write about. Serendipity Reviews ( Me) If you could meet one person in history, who would it be and what would you ask them? Philippa: Richard III - I would ask him if he really killed the princes in the tower. I would love to talk to Elizabeth II and Isabella of Spain too. I find I spend so much time with my characters that I become very close to them. Often spend more time with them than my family! The Bookette ( Becky): Are there any significant benefits or drawbacks to writing about historical figures? Does it present any particular challenges as a writer? Philippa: I gain a lot of pleasure form writing about historical figures. My interest in the past is intense. As a drawback, I suppose I have to do a lot of research, so that requires a lot of work, but I enjoy doing it and I find it a challenge. Feeling Fictional ( Sarah): Have you ever thought about writing a contemporary novel or do you think you will always stick to writing historical fiction? Philippa: I have already written contemporary fiction, includingThe Little House, Perfectly Correct and Alice Hartley's Happiness. I just love writing historical novels. When I write contemporary it isn't as well planned as I don't need to research so thoroughly; I can write a lot freer. Although I did find history creeping into Perfectly Correct - Emily Pankurst's descendant appears in this one. I Want To Read That ( Sammee): Are there any authors that have been a strong influence on you/inspired you? Philippa: I grew up reading children's classics before moving onto Jane Austen, who wrote such beautiful and clear prose. Definitely influenced the way I write. I enjoy reading all the books by one author at a time. I am presently reading Dickens books. Writing From The Tub (Carly): What's the best piece of writing advice you've ever been given (and do you follow it) ? Philippa: If you find yourself suffering from writer's block, let your unconscious mind work on the novel. I was told to get up at 4am, before having a cup of tea, so that my conscious side is still asleep and just write. I have done that, but now I tend to take the dog for a walk and keep walking until my unconscious mind solves the problem. It always clicks into place before nightfall sets in. I Want To Read That ( Sammee): Where do you write and why? Philippa: Everywhere and anywhere. I have two books a year to write, so I just write where ever I can. The Bookette( Becky): What do you read for pleasure? Philippa: Historical books. I am a bit of a swat. I do love English and American classics.One summer I read books just by Edith Wharton. Serendipity Reviews ( Me): Have you made a cameo appearance in the film The Other Boleyn Girl? Philippa: No, I was asked to, but found the waiting around during filming too long. I was the consultant for The Other Boleyn Girl, so I could help them with the script. 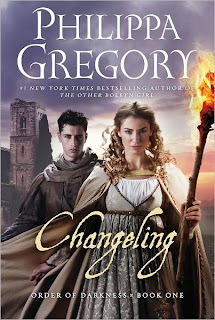 Changeling will be available to buy in May, but if you would like to read a taster from it, then please click here. The year is 1453. Eighteen-year-old Luca De Vere is brilliant, gorgeous—and accused of heresy. Cast out of his religious order for using the new science to question old superstitious beliefs, Luca is recruited into a secret sect: The Order of the Dragon, commissioned by Pope Nicholas V to investigate evil and danger in its many forms, and strange occurrences across Europe, in this year—the end of days. The first in a series, this epic and richly detailed drama is grounded in historical communities and their mythic beliefs. Philippa Gregory’s trademark touch deftly brings the past—and its salacious scandals—vividly and disturbingly to life. Oh. My. Goodness!!!!! I'm a big fan of her work! How awesome that you got to meet her Viv!!! I can't wait to read her new YA book. It was a surreal day. She was really lovely. I am very excited by her new book. What an exciting meeting and wonderful interview! Hehehe - you are not alone in that forty bracket! Lucky you! My book club would be so jealous. She was lovely and so down to earth. How exciting, one of my favourite authors I would loved to have met Philippa.